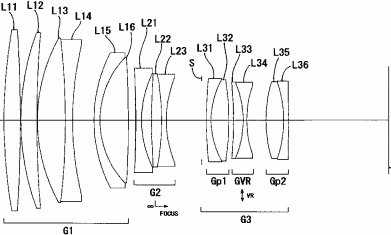 Update: here is the US patent 20120050872 application for the same lens. Nikon currently has the AF DC-Nikkor 135mm f/2D lens ($1,329.00) in their catalog (lens design: 7 elements in 6 groups). It seems that Nikon is persistently releasing a whole line of full frame f/1.8 lenses - last year there was the Nikkor AF-S 50mm f/1.8G lens, this year the Nikkor 85mm f/1.8G and will probably see also a new Nikkor AF-S 28mm f/1.8G by the end of 2012. Is this Nikon AF-S 135mm f/2G lens real? This entry was posted in Nikon Lenses, Nikon Patents. Bookmark the permalink. Trackbacks are closed, but you can post a comment.